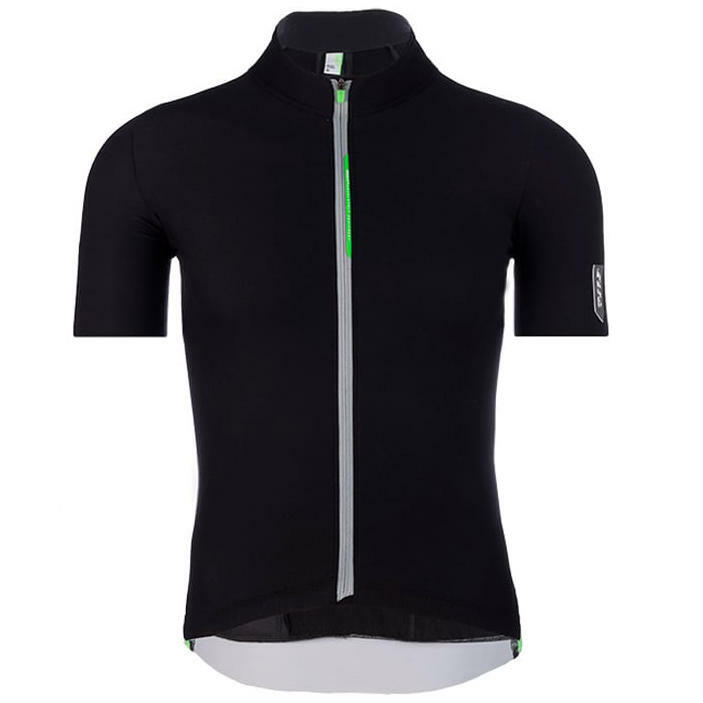 A short-sleeved mid-weight jersey/jacket hybrid designed for mid-season and wet weather use. Brilliant on it's own or as part of a layering system. A new, versatile short sleeve jersey for mid-season and wet days has been introduced into our Essential Collection. It is ideally suited for the spring season or for riding in countries where summers are not so hot - everywhere where the temperature range is below 24C. The ideal companion for adventure and travel on the bike... for use when you need [versatile] equipment for different and variable conditions. 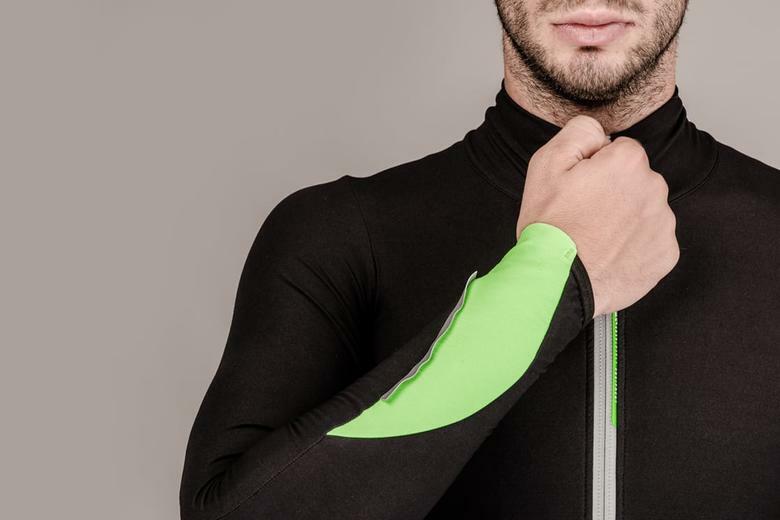 Designed with snug construction that acts as a second skin and offers thermal protection without overheating, thanks to the UF Active Fabric our newly developed woven fabric that combines the super fine threads of polyamide and merino wool. It offers an active thermoregulation that supports thermal comfort even when there are wide variations of intensity during a ride. The clever allocation of the thread creates a double layered fabric: a dense polyamide external layer and an internal 'sponge' merino layer that absorbs humidity and works as a heat retainer. 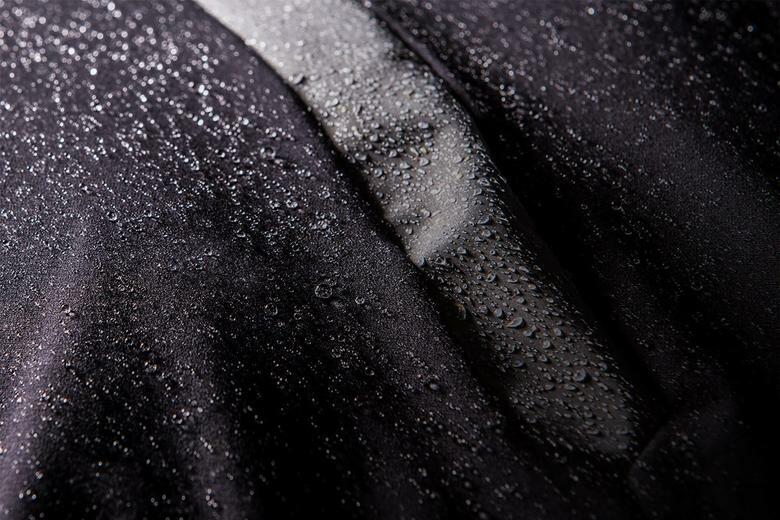 This structure allows for stabile temperatures even when damp and in wet conditions thanks to the durable water repellent finishing. This is the ideal weapon to use to stay warm without adding extra weight on wet summer days and in mid-season. A second collar found on the internal side of the first collar. This second collar is a soft and elastic fleece cut to easily rest directly against the neck much like the elasticated tape used underneath a barber's cape. 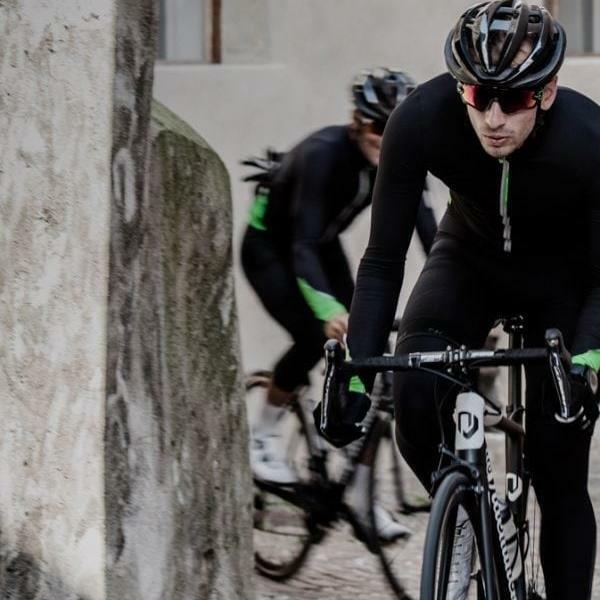 This second internal collar hermetically seals the body from cold air which can often enter from the rear part of the neck during activity, offering superior protection to that provided by the traditional single collar found on other cycling jackets. Q36.5's specially designed material has also undergone a treatment before being woven (as opposed to a surface 'finish' to the fabric). This allows the threads to maintain their natural characteristics for water resistance and fast drying times. They mix natural Merino wool threads with an elastane filament to give superb insulation with light weight and excellent wicking of moisture. 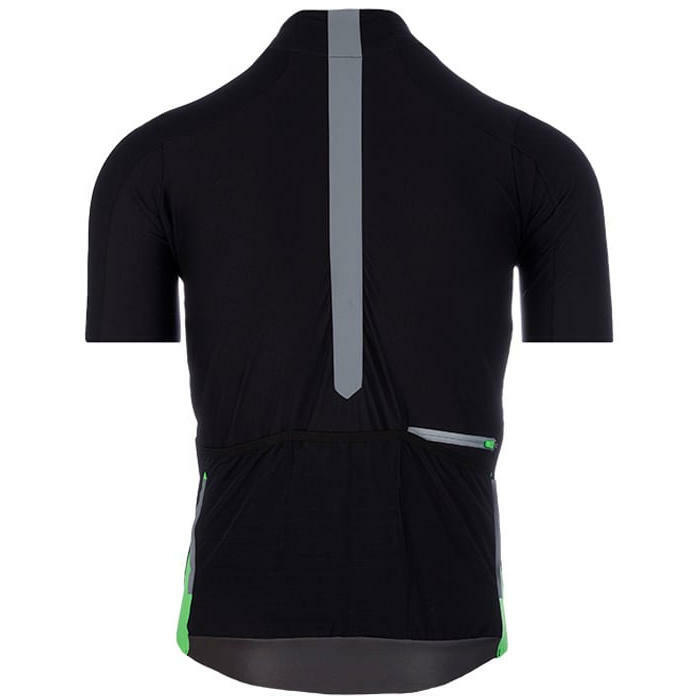 The thread is then wrapped in a polyestermide outer, giving it an extra layer of protection to ensure durability and without compromising on the stretch which allows for a snug race fit.